January 2016 has seen the launch of our new emergency lighting partnership with Orbik Electronics. This exciting new venture enables Safelincs to offer our customers an excellent range of UK manufactured 8W, LED and spotlight emergency light fittings as well as illuminated fire exit signs to suit a variety of applications. Non-maintained products come with a 5 year warranty as standard and each fitting is supplied with a back-up battery, providing illumination for a minimum of 3 hours after a mains power failure. Orbik started manufacturing emergency lighting control gear in 1982, and since then, have grown from strength to strength. Increasing their luminaire portfolio, Orbik have developed a range of energy saving LED emergency lighting to help reduce the industry’s carbon footprint, and continuously focus on high quality standards, being represented on the technical committees of ICEL, the Lighting Industry Association and the British Standards Institution. Safelincs are proud to work closely with another quality assured UK manufacturer, and we look forward to developing the emergency lighting range further, with plans to offer Orbik’s BSI Kitemarked emergency luminaires in the future. Orbik emergency lighting and illuminated exit signs can be purchased online or via our customer services team on 0800 612 6537. The Westfield Shopping Centre in London is one of the largest shopping centres in Europe with 280 retail outlets and 50 eateries. At the time of construction in 2011 the focus was on innovation and sustainability. Fast forward three years to review our involvement in the success of the building. 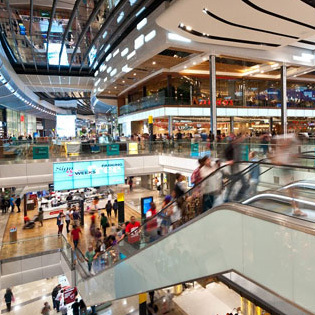 In 2011 Safelincs won the contract to supply Westfield with high quality DALI addressable emergency lighting connected to a DALI digital lighting control system. DALI systems reduce the inspection and maintenance requirement for lighting, especially emergency lighting. The use of natural light and efficient lighting amongst other energy saving measures ensured that Westfield achieved an ‘excellent’ BREEAM (environmental rating). All Safelincs emergency lighting units were manufactured with integrated control and diagnostic capabilities adhering to strict efficiency specifications without compromising performance. We upgraded our MP8 and ES8 emergency lights to DALI technology which were then used on all emergency exit routes, final exits and communal spaces in the shopping centre. DALI systems perform the necessary self-diagnostic tests in accordance with BS5266. Each emergency light sends its self test results to the central panel and if a malfunction is found with an individual lighting unit, the specific fault is highlighted. MP8 were supplied in a chrome finish, complimenting the shopping centre’s interior design.Our maintained (always on) version of ESW units were placed outside of all final exits. Protected up to IP65, the ESW is a tough waterproof unit ideal for external installation. The use of DALI addressable emergency units into the lighting control system made a very complex system easy to manage. The emergency lighting supplied by Safelincs has delivered long term value for our customer – in terms of operational savings, fire safety and energy savings. We look forward to being involved in future projects such as this. 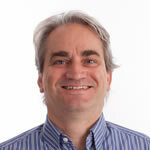 Safelincs operates a fire safety forum where people’s fire safety questions are answered by professionals. One of the frequently raised topics has been Emergency Lighting. To give you a broader understanding of emergency lighting, this blog compiles the typical queries and answers raised through the forum. Emergency lighting is lighting that comes on when there is a mains power failure. Emergency lights are powered by rechargeable backup batteries which are either located inside the emergency light or in a central battery location with connections running to each emergency light. Emergency lighting is a general term and is sub-divided into emergency escape lighting and standby lighting. Standby lighting is used to continue normal work during a powercut and, as it is not a legal requirement, is not covered in this guide. Emergency escape lighting comes on automatically when the mains power fails and gives off sufficient illumination to enable occupants and visitors to evacuate the premises safely. Publicly accessible buildings as well as most businesses are required by law to provide emergency escape lighting. What key types of emergency lights are there? There are two key types of emergency lighting: maintained and non-maintained. Maintained emergency lights stay on constantly at all times and stay lit for the minimum emergency duration (usually 3 hours) after a mains failure. Maintained emergency escape lights are used in places of assembly like theatres, cinemas, entertainment halls but also shopping centres and similar venues. They allow the public to familiarise themselves with emergency routes and have the advantage that any failure of the emergency lighting bulbs can be spotted immediately. A non-maintained emergency light will only light up in the event of a mains power failure and will also stay lit for the minimum emergency duration required. Non-maintained emergency lights are likely to be found in offices, shops and factories. Does all escape route lighting have to be illuminated? If sufficient open area emergency lighting is in the vicinity of a fire exit, non-illuminated fire exit signs can be sufficient in locations of minor importance. Photo-luminescent fire exit signs would be preferable in this case, although it has to be ensured that sufficient light is reaching the photo-luminescent sign to ensure it is ‘charged’ at all times. British Standard BS 5266-1: 2011 provides clear guidelines about the design and installation of emergency lighting. It should be remembered that the British Standards specify the best practice for standard situations, however, a higher standard may be required for a particular installation. The actual degree of illumination should be closely related to the nature of both the premises and its occupants. Special consideration should be given to homes for the elderly, hospitals, crowded areas such as pubs, discos and supermarkets and to whether or not the premises are residential. Borrowed lighting may be suitable in small premises (eg small shops) where there is light coming into the building from a dependable outside source, e.g. street lamps and will adequately illuminate escape routes. Alternatively, single ‘stand-alone’ escape lighting units may be sufficient in small premises and these can sometimes be combined with exit or directional signs. An emergency lighting system should be installed by an electrician who specialises in emergency lighting. They would need to be conversant with BS 5266-1- 2011 Emergency lighting-Part 1: Code of practice for emergency lighting of premises. The question of the requirement for emergency lights in schools is a bit of an anomaly. As a school is only occupied during the hours of daylight, emergency lighting is not therefore required. However, should the school be used out of hours, in the hall for example, then emergency lighting should be installed in the hall and the exit routes from it. The ‘responsible person’ should have the final say on this and might want to consult the local fire officer. Toilet facilities for use by disabled people and/or any multiple closet facilities without borrowed light should have emergency escape illumination from at least one luminaire. Organisations may have to provide emergency escape lighting in each cubicle if there is no borrowed light. What are the rules for rented properties? For residential properties landlords are deemed to be the ‘responsible person’ for all fire safety and emergency lighting. Single occupancy houses and houses of multiple occupancy up to two storeys high only need conventional lighting, whereas three and four storeys may require emergency escape lighting if the escape route is complex and there is no effective borrowed light. Two, three or four storey houses converted to self-contained flats require conventional lighting and emergency escape lighting if the fire risk assessment requires it. Five or six storey house converted to self-contained flats require conventional lighting and emergency escape lighting. Importantly, common escape routes should be well lit. There are guidelines to help understand the provision required and landlords need to be aware of their responsibilities to carry out a fire risk assessment, and make sure their property has adequate and appropriate fire safety measures in place. How do you maintain emergency lighting? Emergency lights have to be tested regularly unless they are self-testing emergency lights. Emergency lights with internal backup batteries display a small green LED that indicates that the internal battery is being charged. Older models may have a red light. However, you still have to check the function of the emergency light regularly, as the LED only confirms that the unit charges rather than that the battery will last the full period required or that the bulb is in working order. The period of simulated failure should be sufficient for the purpose of this test while minimising damage to the system components, e.g. lamps. During this period, all luminaires and signs shall be checked to ensure that they are present, clean and functioning correctly. Emergency lighting key switches are available and allow for the interruption of the power to the emergency lights without affecting the power supply to the normal lighting circuits. A test for the full duration (usually three hours) of the emergency lights must be carried out once a year. The emergency lights must still be working at the end of this test. The result must be recorded and, if failures are detected, these must be remedied as soon as possible. Any batteries that do not last three hours should be changed immediately. Life expectancy will vary depending on the make of the battery – with some makes it is four years, some five years. When the life expectancy date expires the batteries should be changed. It is a good idea that when a battery is changed the date of installation is written on the battery for future reference. Safelincs supply spare batteries. If the fitting has a fluorescent tube the life will depend on whether the unit is maintained or non-maintained. Safelincs recommends that lamps in maintained bulkheads are changed every six months. If a fluorescent lamp has blackened ends / starting to turn black the tube needs replacing. The occupier/owner of the premises should appoint a competent person to supervise the testing of the system. This person shall be given sufficient authority to ensure the carrying out of any work necessary to maintain the system in correct operation. Competent can be defined as someone who has sufficient training and experience or knowledge and other qualities that allow them to maintain the system properly. The level of competence required will depend on the complexity of the situation and the particular help that is required. From a practical point of view, a normal caretaker would be able to use a test key to remove power from emergency lights and ensure that the emergency lights stay on the required period. When it comes to repair of failing emergency lights it would most likely that an electrician would be needed unless the caretaker has sufficient qualifications to replace batteries and lamps. It is important, though, that all tests are recorded in the fire safety log book. The longevity of emergency lights is better if lamps are changed before they are fully failing. However, this recommendation probably only applies if an organisation has a contractor for the maintenance of emergency lighting and the costs of a call-out were to be substantial. In such a case pre-emptive maintenance (changing while the light is still working) makes sense. In the long run LED light are more economical than fluorescent tubes as they save electricity not only when the light is on but even during the trickle charging of the batteries. However, the real saving from LED emergency lights comes from not having to replace the tubes on a half yearly or yearly basis. The LEDs will last a lot longer, hence saving costs for maintenance call-outs and replacement tubes. Many systems will have fish tail key switches in the power supply leading to suitable groups of emergency lights so that you don’t have to switch off the power at fuse level when you want to check them. If you have a system that can only be tested by switching the lighting power supply off altogether you would only be able to do your tests when the building is empty and if you have suitable portable light or suitable daylight in all locations you are checking. If you have dangerous processes in your company lighting might have to be on all the time, so that a central switch-off would be inappropriate. Emergency lighting is essential in most businesses, providing an immediate secondary source of light in the event of a power failure. When selecting emergency lighting you will, however, come across confusing terms such as maintained, non-maintained and switchable emergency lights. Our short video explains the differences in an easily understood way. Our friendly staff are always happy to help you with your emergency lighting planning. 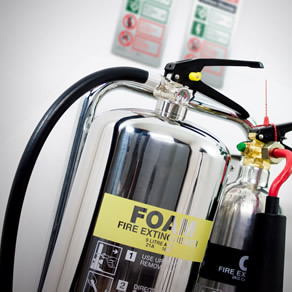 Following strong interest in our range of stainless steel fire extinguishers and accessories such as stainless steel stands by the hospitality market we have created a dedicated business arm specialising in designer fire safety products to satisfy high end customers. Henry Wolfe offers quality and aesthetic fire safety products and matching hardware for use in hotels, designer offices and other design-focused spaces. The Henry Wolfe team has scoured the market to identify the most inspiring fire safety manufacturers. It has been very pleasing to work with specialist fabricators in the UK, one of which has developed a unique and remarkable fire safety product range for use in designer kitchens for us. We also discovered a number of international manufacturers engaged in the creation of designer fire safety products. The full range will be presented at the Independent Hotel Show at the Olympia Exhibition Center this October. The range is continuously expanding and the latest products being added include luxury fire and security safes and prestige lighting, which is not only beautiful but also equipped with emergency light functionality. Contact the Henry Wolfe team to help you protect staff and visitors while maintaining the looks of your design spaces. Which emergency light: maintained or non-maintained? A common question from customers buying emergency lighting is: What is the difference between maintained and non-maintained emergency lighting? New commercial or public buildings have emergency lighting installed as standard, but if you are looking to install or renew a system this issue may need clarifying. Luckily the answer is really quite simple. Non-maintained emergency lighting is designed to turn on in the event of a power failure. It is linked into the building’s lighting circuitry and reacts to a power failure ensuring emergency exit routes remain illuminated. This type of emergency lighting is mostly found in the workplace, such as offices and factories, where people are familiar with the escape routes. Maintained lighting is designed to be lit continuously and will continue to work even in the event of a power failure. This allows the unit to double as a standard light fitting but still supply the necessary backup in the event of a power outage. This type of emergency lighting is suitable for public places such as theatres, shopping malls and cinemas. 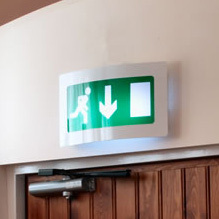 Emergency exit signs can also be lit to act as an emergency light. Again they can be maintained or non-maintained, with non-maintained signs reserved for areas where occupants are familiar with the layout of the escape routes. 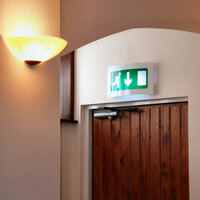 A full range of both types of emergency lighting is available on our website. If you are unsure which type best meets your needs then please feel free to contact our customer service team for more information about specific models. What power consumption do emergency lights have? When comparing power consumption of emergency lighting, and more specifically comparing LED lighting with standard lighting, it is important to understand some of the terms used and what they actually mean in this context. Sometimes you will see the power consumption documented in W (Watts) and sometimes it will be stated in VA (VoltAmperes). Whilst this looks confusing, it is comforting that both terms are actually identical. Multiplying the Voltage (V) of the electrical supply with the Amperage (A), which represents the current flowing through the light, gives you VA (VoltAmperes) which represents power consumption and is actually the same as the ‘Wattage’ (W). So VA equals W; they are just different ways of saying the same thing. For this blog we will be comparing a CS8 maintained emergency bulkhead with an X-GSA LED maintained emergency bulkhead as they are very similar units, although they have a very different power consumption (also the CS8 produces light output of 100 lumens, whilst the X-GSA produces a slightly lower 85 lumens. This difference, though, is negligible.). The CS8 contains an 8W T5 lamp which, as the name suggests, consumes 8 Watts. The ballast (the electronics that run the unit and the trickle charge for the backup battery) consumes 12 Watts, which means the CS8 in maintained mode consumes 20W. The X-GSA contains 12 white LEDs which together consume 0.9W. The ballast consumes 2.6W, which means the whole unit in maintained mode consumes 3.5W. That is a difference of 16.5W, which is huge when you consider that maintained lights are lit constantly. So, a CS8 in its maintained mode is consuming over 5 times more energy every hour than the X-GSA! 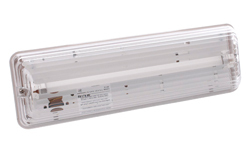 It is also important to know that LED emergency lights last substantially longer than fluorescent tubes. An LED bulb will last over 5 times longer than a traditional fluorescent light. Generally speaking LED emergency lighting is more expensive than the traditional equivalent, but when you factor in the substantially lower power consumption and the lower maintenance needs of LED lights, they are actually more cost effective in the long term.